Ajmer Tour package is not just a tour, it is a voyage of belief, faith and numerous sentiments. People all across the globe make their way to the super auspicious and pious Dargah of Garib Khwaja Muin Ud Din Chisti to seek his blessings. It is believed that the prayer that comes out with great devotion and true heart certainly come true. There are lots of attractions to explore in and around Ajmer. 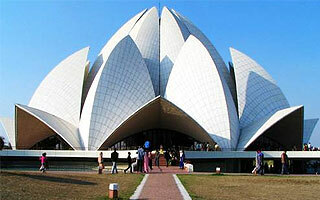 Places of religious point of interest to historic importance are in abundance here. The ethnicity of the town is unique in it and remains in the eyes and memories of the visitor for a long. Ajmer is also known for Mayo College, which is one of the first British schools established here and laid the foundation of British education system in India. You will be greeted at the Ajmer Railway station and taken to the hotel. On arrival check in at the hotel. After freshen up proceeds for visit to Dargah of Ajmer Sharif. The Dargah is built in honor of Khwaza Muinnuddin Chisti who was a sufi saint came to India from Persia. For Muslims in India this shrine is next to most important and revered after Mecca. The construction of the dargah was started by Altamasha and completed by Mughal Emperor Humayun. Entering through two massive silver doors one can reach to main shrine. Prasad cooked in giant cauldron are the prime attractions of the shrines. Devotees gathered in great flock to take the Prasad and seek the blessings. Ajmer is a small town holding great religious importance in the heart of Muslims and Hindus as well. Million of peoples visit every year to Ajmer to seek the blessings at Dargah Ajmer Sharif. Ajmer is well connected by road, train and air as well. There are regular trains from New Delhi to Ajmer. Delhi is capital of India and hence is gateway to start the pilgrimage to Ajmer. Jaipur is major city located around 132 kms from Ajmer and is well connected by national highway. If planning by air then you can fly to Jaipur airport from all major cities of India and from there can reach Ajmer by car.